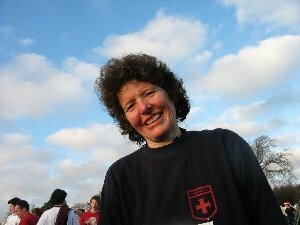 In 2004, Jonno Devlin born in South Africa, but based in Oxford and a Leander man, was in the bow of the British eight, which finished 9th in Athens. In April 2006, Jonno was still trying out for the British rowing team, although now aged 30. As recently as February 2007, he was selected as part of a British eight. In early 2008, he's paired up with Sean Casey in an Irish heavyweight pair. I'm puzzled. When did he become Irish ? And why? Jonno Patrick Devlin was born Irish! He was born on St Patricks day to Irish parents. He has every right to represent his country. 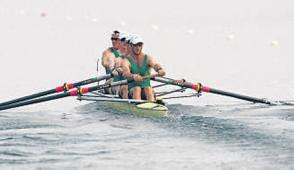 His brother rowed for Neptune rowing club and represented Ireland in the Juniors at the worlds. He was one of the top oarsmen at Trinity College Dublin. Do not be quick to judge. Jonno is a top oarsman, he rowed in the heavy weights for GB when Ireland did not have heavyweights and before they found a fantastic heavy weight coach. He also represented South Africa in the Junior worlds event in Norway. He is a well traveled man and a brilliant oarsman. He was honored to represent Ireland and Ireland was very happy to have him on board. Not judging at all - just curious, so thanks for responding. Will he now continue? We would have to ask him, it would certainly be good for Irish rowing if he did continue. I believe they have lost their coach, that will not help attract oarsmen. It would be awesome to see Ireland improve and grown from this years Olympics. Of course the big problem is that Ireland's sports council expect their sportspeople to work for their country without payment, what a shame they are so short sighted.